This is the eighth piece in Fast Forward’s 2018 Accelerator Series featuring Tarjimly, which means “translate for me” in several languages. It’s January 27, 2017 and Trump’s first Travel Ban has been issued, blocking U.S. entry for citizens from seven Muslim-majority countries and terminating refugee resettlement. In a moment where many felt fear, rage, and helplessness, Atif Javed and Aziz Alghunaim mobilized to get word out about Tarjimly, a Messenger app empowering the world’s 3 billion bilinguals to provide on-demand translation and interpretation for aid workers and the 25 million refugees worldwide. In the heat of the Muslim ban and with refugee crises exploding across the world, “the product broke from overuse,” Atif said. 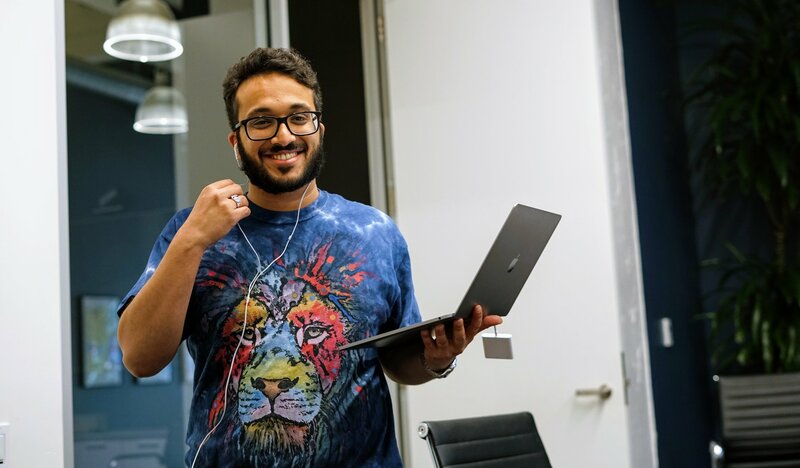 “Which is always a good thing when your prototype is bandwidth breaking.” Atif and Aziz stayed up for three nights straight to make sure the app, which ran on Facebook Messenger, kept running. 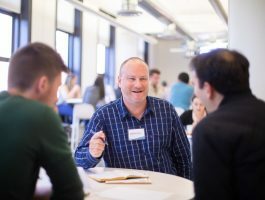 Tarjimly connects the world’s 3 billion bilinguals to 25 million refugees through their on-demand translation app. 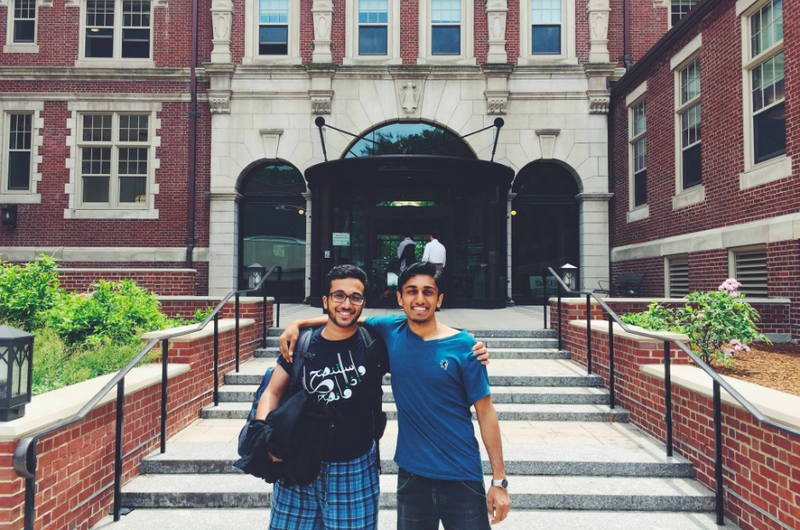 In 2011, Atif and Aziz met at MIT’s Muslim Student Association as they prepared to start their freshman year. They immediately formed a friendship and decided to be dorm roommates, not yet predicting that a partnership with the potential to impact millions of lives was to transpire. At the same time, the refugee crisis continued to worsen, and eventually Aziz and Atif traveled to Greece. 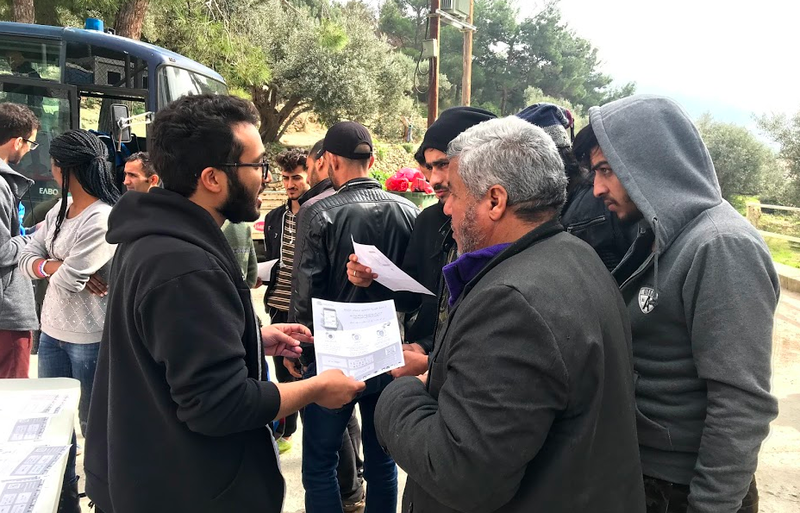 Their goal was to understand what actually happens on the ground at refugee camps, and to validate their theories about the need for a service like Tarjimly. “Six months after starting Tarjimly,” Aziz said, “we reached a point where we de-risked the concept from being some crazy idea. 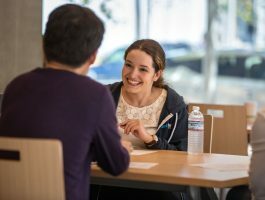 We dedicated all of our free time to building, shipping, and doing tons of work on validation with real users.” That’s when they had the conversation about quitting their jobs and pursuing this full time. Aziz said, “For me, I just could not say no to growing an organization that actually delivers insane impact… I would never forgive myself if I hadn’t pursued it.” In January 2018, they quit their jobs, started Y Combinator, and went all-in on building Tarjimly. A year into building the product, they considered it officially launched. 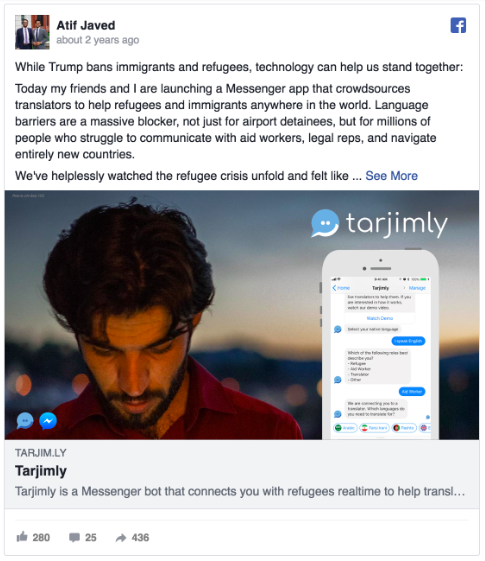 It’s simple to sign up: send Tarjimly a message on Facebook, volunteers select their languages and fluency, and receive alerts whenever a refugee or aid worker needs a translation that the volunteer is best suited for. Conversations range from quick chat exchanges to video calls. To date, Tarjimly has connected 5,000 translators with over 9,000 refugees and aid workers across 18 different languages. Take Haley, a counselor at a Women’s Trauma Center in Greece. Using Tarjimly, Haley connected with Sara, a volunteer translator who spoke Arabic, and enabled Haley to communicate with a Syrian refugee who was suffering from a miscarriage. “She was talking about suicide, and was feeling really depressed about life in the camp. This translator actually talked the woman through it and helped her make sense of the situation. 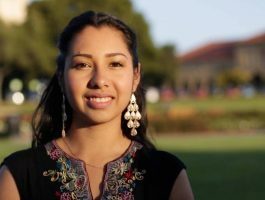 Our translator allowed Haley, one of the only counselors on the island, to meaningfully connect and counsel the woman,” Atif said. 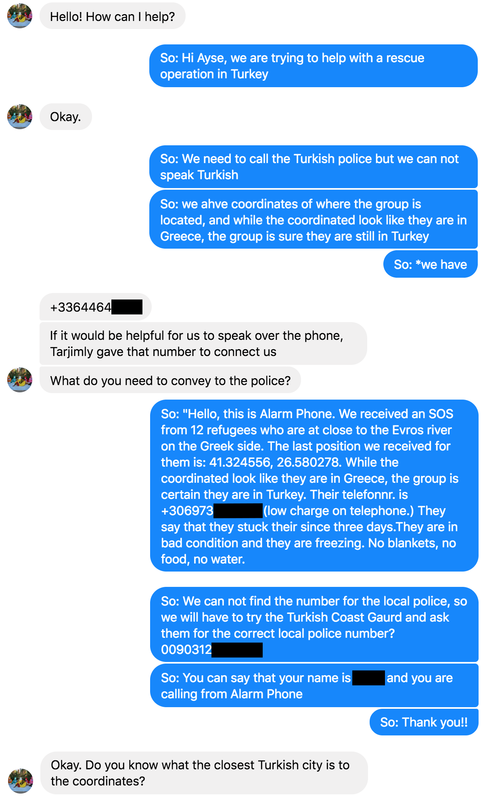 Stateside, a woman named Ayse used Tarjimly to coordinate between an NGO and the Turkish Coast Guard during a refugee rescue operation in the Mediterranean, all while sitting in her living room in Los Angeles. The future is bright for Tarjimly, with plans to launch iOS and Android apps in November as a major step up from their Facebook Messenger app. In the next year, Aziz and Atif plan to serve 100,000 refugees, by signing up 1,000,000 volunteer translators. 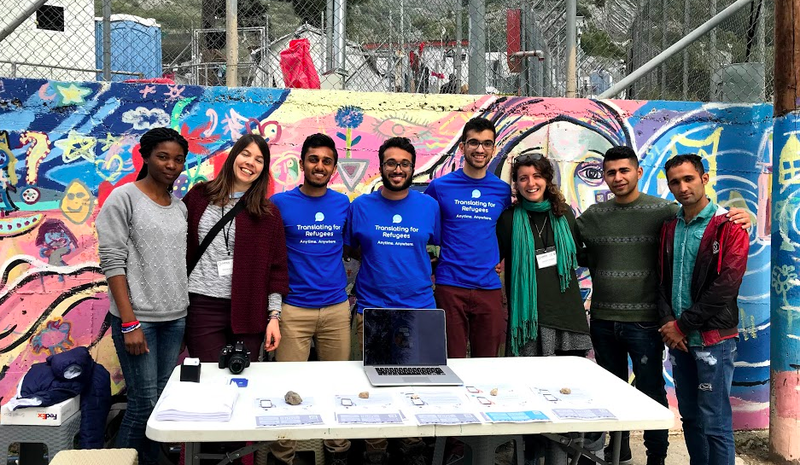 Aziz and Atif imagine a future where Tarjimly is more than solely translation – it will be a platform that supports any humanitarian crisis by deploying the service of remote volunteers willing to step in and help. 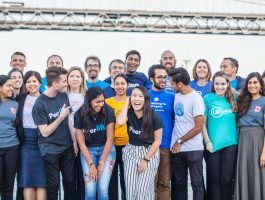 “Ultimately, our mission is to improve the lives of refugees with on-demand volunteers,” Atif said. “If we can make a big dent in that, we can see a world where billions of people are volunteering to help millions of people in need every day, and that’s a Wikipedia-type of world where everyone’s contributing to making the world a better place.” As crises like the travel ban, the Rohingya crisis, and the separation of families at the border continue to play out, Tarjimly is dedicated to ensuring that even if refugees are trapped by borders, they will no longer be trapped by language. If you are bilingual, send Tarjimly a message to translate for an aid worker or refugee in need.